Houseboats with twin gas fuel tanks and one engine, run on 1 or 2 tanks? Houseboat fuel tanks - Run on 1, or run on both gas tanks? My houseboat has twin gas tanks, should I run on 1 or 2, both fuel gas tanks simultaneously? 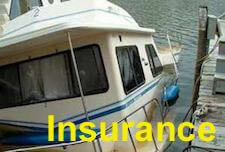 I just bought a Nautaline houseboat, and it has one engine, with two 50 gallon gas tanks. My question is, do you cruise with both, or use 1 at a time? The gas tanks are on opposite sides of the house boat. There are fuel shut off valves, and the person that had it before me has been running 1 tank at a time. It just makes more sense to me to keep the load level you would want to use both. Or alternate maybe? What is the best way, or right way? increase sales and profits with targeted traffic? Well George, congratulations on your houseboat purchase. Your question is a frequently asked one. 1/3 fuel to get there, 1/3 fuel to get back, and 1/3 fuel as reserve. Run the engine on both gas tanks simultaneously. Use one fuel tank, than weekly switch gas tanks. Use 1 tank, and keep the other one as reserve. Just remember that fuel, or gasoline doesn't stay "fresh", or retain it's octane level indefinitely. You would want to burn the fuel within months of buying it, in order to not create any "fuel quality" problems. As a prudent captain, if you always remember and follow the 1/3 rule, you should never run into one of the very common problems on the water, "PAN PAN, we need assistance, we're out of fuel." Lastly, hopefully some of our readers will share and post comments about their houseboat twin fuel tank experiences. Feel free to use the "Click here to post comments." link found at the bottom of this page. 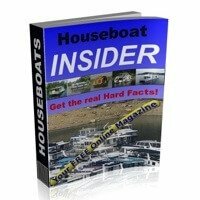 To show our deep appreciation to all of our readers and visitors, here is the link to our free houseboat magazine, the INSIDER. Go ahead click the book and sign-up, it's free and filled with great articles, tips, information and website updates. Comments for Houseboats with twin gas fuel tanks and one engine, run on 1 or 2 tanks? Not sure of the composition of US fuel, but advice from Caltex in Australia is that fuel not exposed to the air will last at least 12 months. However, Ethanol blends are more Hygroscopic than our straight petrol. This means Ethanol blended fuel is more likely to become contaminated if stored for a long time in tank in a marine environment. Bio-diesel can also have a relatively short storage life (3-6 months, I think). This tends to make running off both tanks attractive, especially if there is a likelihood that the second tank may not be used for a long time otherwise. 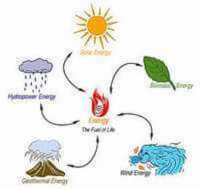 Not so much of an issue, however, if fuel is turned over relatively quickly. I tend to keep my tank full when I'm not using it, so that the surface area in contact with the air is kept to a minimum. Having said that, the only issue I have actually seen myself is with bio-diesel where the houseboat wasn't used for about 9 months. The filters became clogged and sludge was deposited in the tank by some sort of organism that grew in the bio-diesel. I hope this helps, Mark. Join in and write your own page! It's easy to do. How? 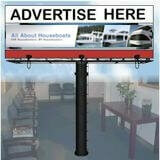 Simply click here to return to Houseboat Forums. We just love houseboats, do you? IAN, the editor & founder. you 'want & need to know' now. 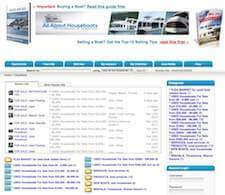 Are you BUYING a houseboat? 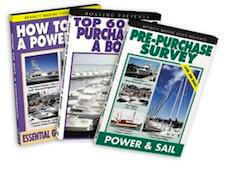 Start living the passion & freedom, download the boat-buying guide. The information or articles on this website are for educational purpose only. It is not intended to replace the advice of a professional. To pay all the expenses, All-About-Houseboats may derive a small financial benefit from affiliate, third party links, and/or advertising. This site does not take responsibility for the accuracy of comments, opinions, suggestions and any other messages posted by visitors.